So many of my friends are heading out for vacations this summer and I’ve asked a few of them, “What do you have planned for the kids while you are traveling?” At that point, I get a blank stare. I know most older kids today have their “devices” to keep them occupied. I love seeing little ones using their hands and brains work at some point. Here are few printables for little ones to work on to learn and enjoy while traveling. If you are looking for a website with activities for little ones, be sure to check out Itsy Bitsy Fun. 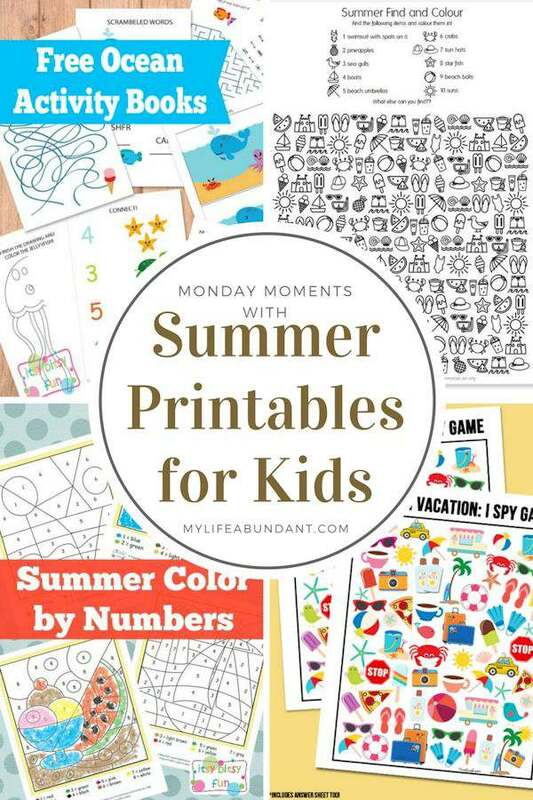 She has the best printables and ideas for kids to use. This printable is for ocean related activities. This printable takes care of two things to do. Color and find objects by Pickle Bums. If you have little ones who love to color detail, this is the printable for them. Another fun activity by Itsy Bitsy Fun is some color by numbers coloring sheets. I use to do Paint by Numbers. I loved that activity. One of my fav blogs to read is Live Laugh Rowe and I love her version of the I Spy game to use while driving down the road. Always loads of fun.